I produce Swedish style, egg tempera folk art paintings. In Sweden this is known as a ‘Bonad’ -a decorative wall hanging (plural is Bonader). 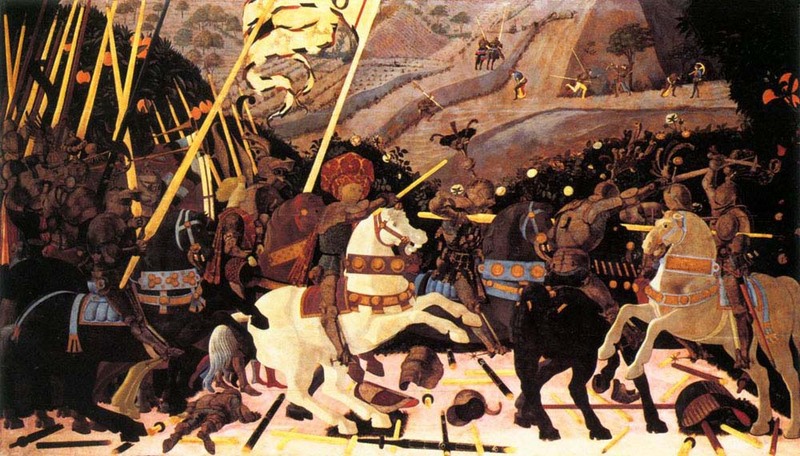 I saw on the internet a modern medieval battle, I wanted to record that in the way these events used to be recorded. I grind pigments with a little water, then mix with egg yolk to produce a beautiful paint that works so well on gesso- rabbit skin glue and chalk. I wanted this painting to look beautiful and therefore shock the view on closer inspection. Surely we can’t still be having such battles? The Miner and the Horse I is below and depicts the pit pony and his relationship with the miner. 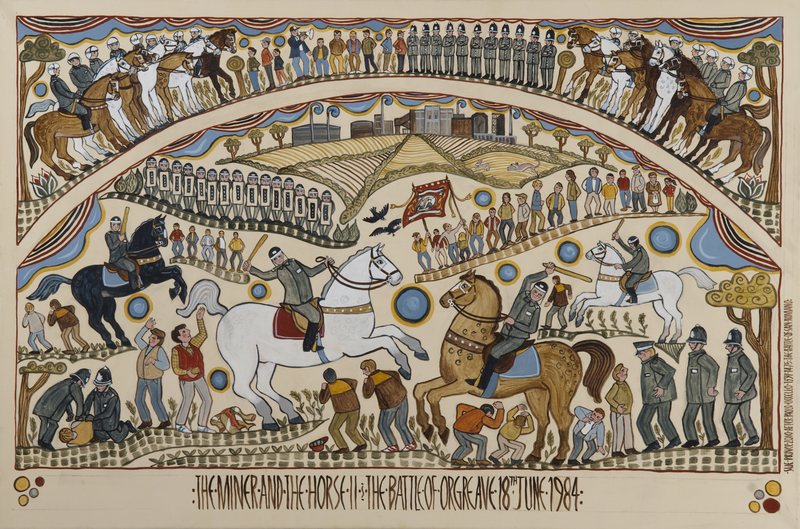 This entry was posted in Art, Big society, culture, Derbyshire, folk art, rural community, Sheffield, Uncategorized and tagged arts, culture, Derbyshire, folk art, illustration, miners' strike, mining, Orgreave, story, tradition, uk. Bookmark the permalink. It would be lovely to see you- anytime! We are in all weekend.